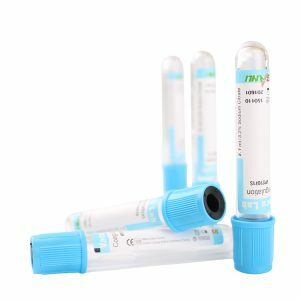 SANLI Medical Cell-Free DNA Collection Tubes – Liuyang Sanli Medical Technology Development Co., Ltd. 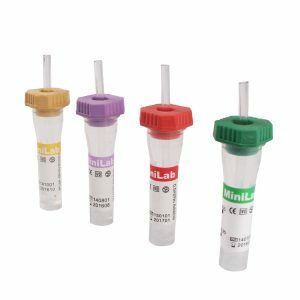 The Cell-Free DNA Collection Tube(cfDNA Tube) is supplied with stabilizing reagents that prevent the release of genomic DNA and cfDNA degradation by nucleases, maintaining the integrity of cfDNA in the samples. 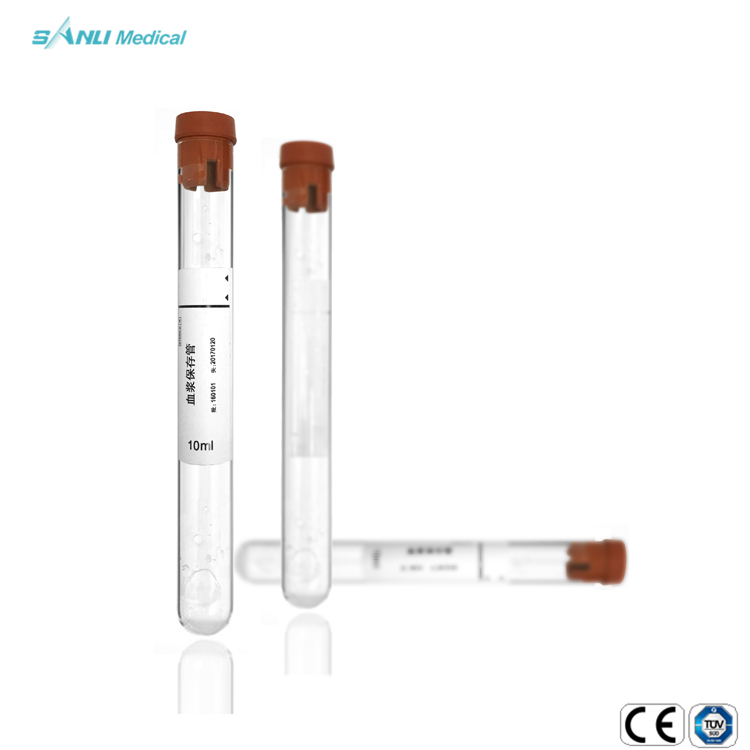 The cfDNA Tube protects cell surface antigen, maintaining cell shape while ensuring cfDNA yield for downstream analysis. 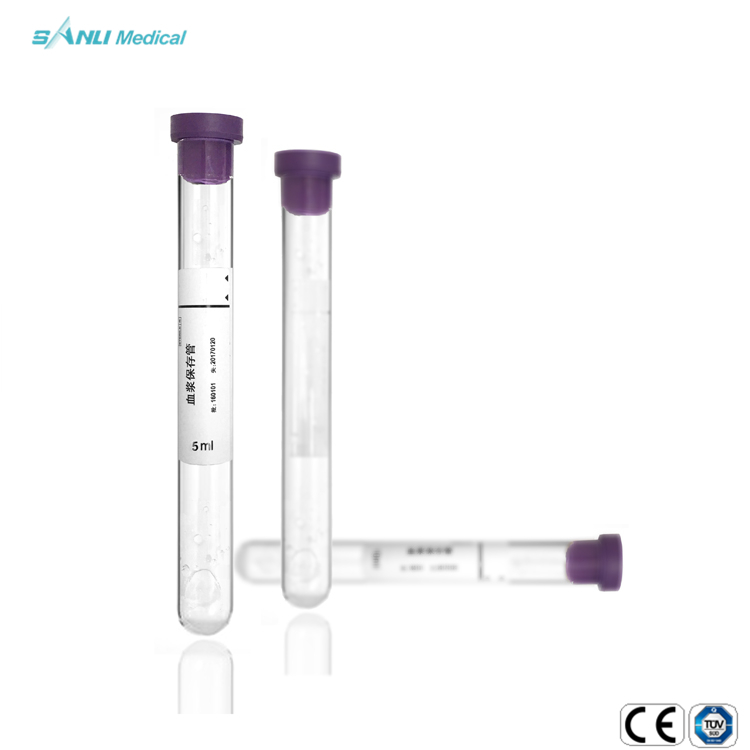 Samples can be stored in the tubes at 6-37℃ for14 days, transported at room temperature for up to 72 hours. 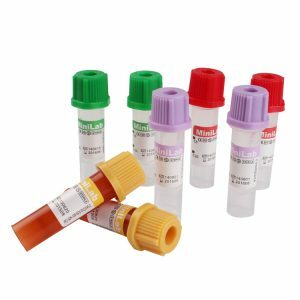 The cfDNA Blood Collection Tubes is perfect for all kinds of clinical research , medicine development, and molecular diagnostics. 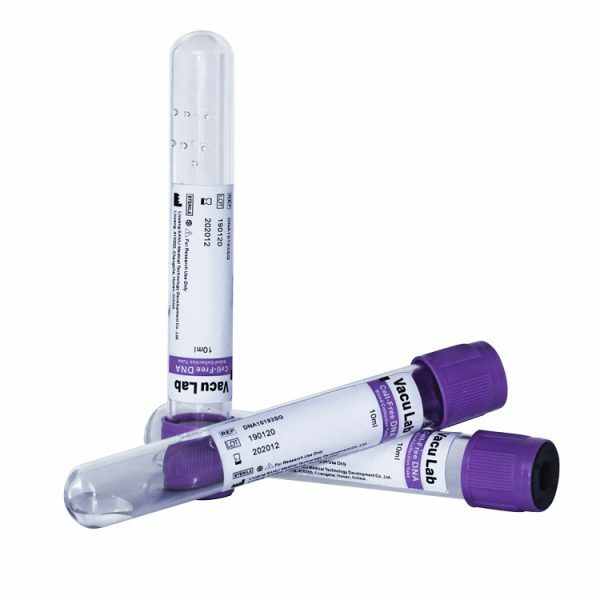 Time and Effort Efficient: Provides a convenient solution to handle blood samples and analyze cfDNA, saving both time and effort. 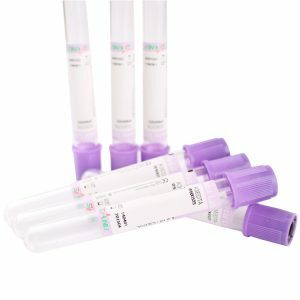 Easy Storage: Maintains blood sample at 6-37℃ up to 14 days. A more convenient solution to collect, transport, and store samples. Broad Applicability: Applicable to all kinds of clinical research, medicine development, and molecular diagnostics. Safe and Reliable: Unique double barcode labels to avoid mixing up samples. Accuracy: Enhance sample stability, minimizing technical variation sample preparation. Comparison of cfDNA tubes from SANLI, Streck, and W brand for 14 days under different storage temperatures. cfDNA was extracted at different time points and analyzed for β-action fragments(143bp) with qPCR to determine cfDNA integrity with ct value. 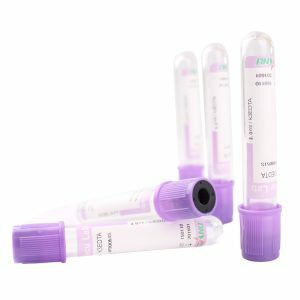 The results showed SANLI cfDNA Tubes are better than W brand tubes, with similar performance with Streck tubes. The lower Ct value indicates the sample contains higher β-actin DNA fragment, a result of genomic DNA released from cell lysis. Analysis of cfDNA extracted from blood samples stored in SANLI cfDNA Tubes(A) after 72 hours of transportation in room temperature, or(B) stored for 7 days. The analysis was performed by Agilent 2100 Bioanalyzer for fragment size distribution. A: Agilent 2100 Bioanalyzer result of the extracted products after 72hours of transportation in room temperature. B: Agilent 2100 Bio analyzer result of the extracted products after storing for 7 days. cfDNA is disturbed from 150-260bp, with centered major peak and no minor peaks. The major peak is around 175bp. The DNA fragment size and yield meet expectations.